Newsflash – it IS possible to look and feel great even while running around after the kids. This bandeau-style bikini top has adjustable ruching, plaited ties and a clasp fastening, ensuring a perfect fit for active days at the beach. 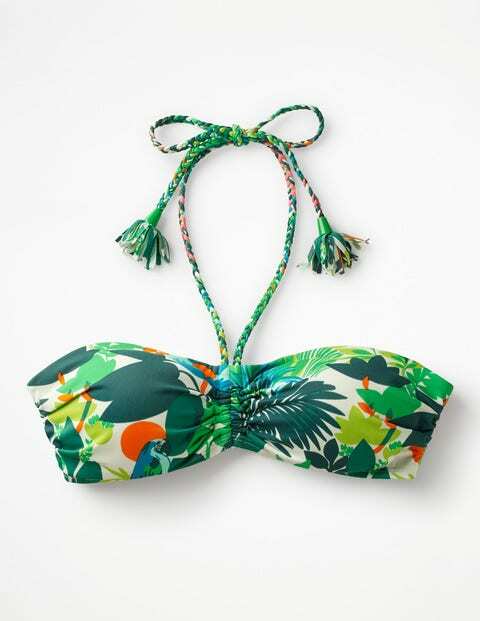 Mix and match the two tropical prints with our bikini bottoms and get back to the pool before your little racers do.